Plush it up for your next soiree or meeting. Create the space as you wish. We have a team of event specialists on hand to help make your vision a reality. With state-of-the-art technologies adorned with Michael Johnson archival prints. Playing host to an evening Brisbane event? Your guests can sleepover with us in order to be recharged and refreshed for the next day’s activities. The Johnson’s onsite restaurant will offer guests delectable fare for breakfast, lunch and dinner plus all bites and drinks in-between. 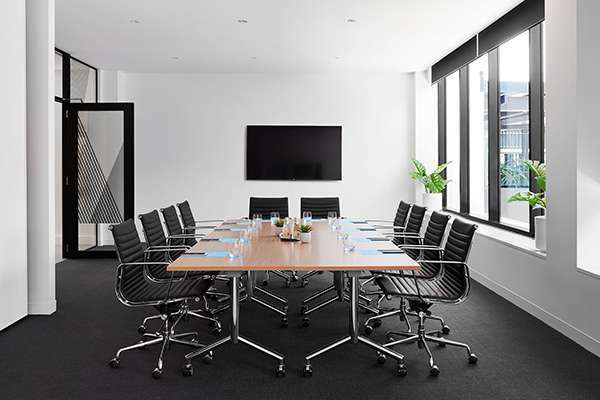 Our contemporary boardrooms offer multiple flexible setups for an immersive delegate experience. 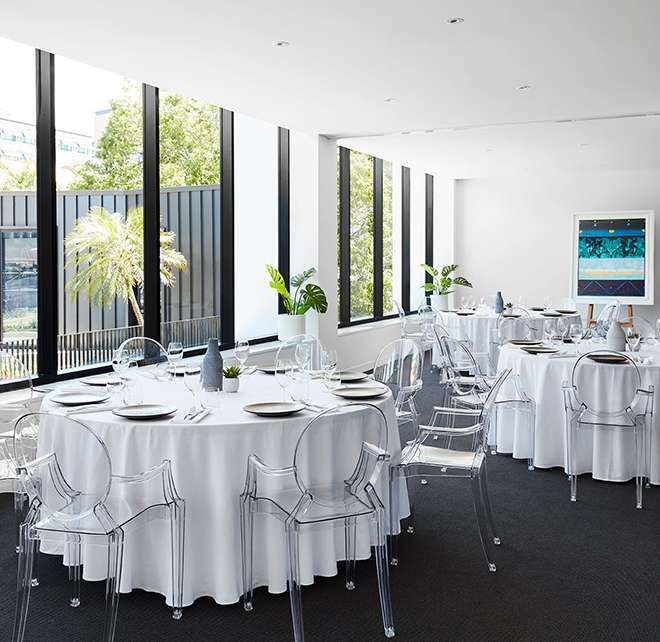 The Johnson’s multi-purpose event venues near Brisbane CBD are perfect for intimate gatherings as well as larger, more lavish affairs. 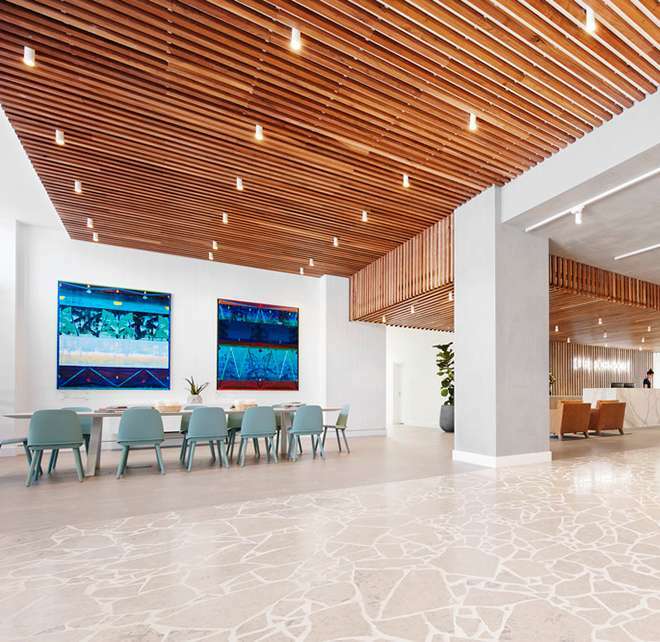 Galleries I-III can be divided individually or made into one large space offering ultimate flexibility for a day meeting or a week long boutique residential conference. Contact our staff to discuss all the possibilities. The Johnson Galleries I, II & III provide intimate and contemporary executive function spaces right in the heart of bustling Spring Hill. From boardroom to classroom they offer flexible event set ups, and a variety of catering options. These unique spaces can be hired separately for groups. Offering state-of-the-art technological solutions ideal for dynamic meetings and seminars.